Thirty-two years after the beloved original franchise took the world by storm, Fathom Events and Columbia Pictures invite you to celebrate the upcoming July release of Ghostbusters (2016) with the original misfit parapsychologists of Ghostbusters (1984) as the classic film returns to cinemas nationwide on Wednesday, June 8 and Sunday, June 12. The 80â? ?s comedy classic, tells the story of university parapsychologists Dr. Peter Venkman (Bill Murray), Dr. Raymond Stanz (Dan Aykroyd) and Dr. Egon Spengler (Harold Ramis) who lose a research grant when their experiment methodology is proven to be bogus. The team decides to go into business for themselves and open â??Ghostbusters,â?? a ghost removal service. Along with the presentation of the original Ghostbusters, this event will feature special sneak-peek footage from director Paul Feigâ? 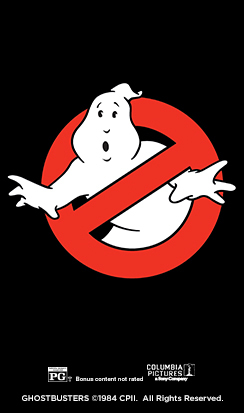 ?s highly anticipated new film Ghostbusters, in theaters July 15, 2016. GHOSTBUSTERS Â© 1984 Columbia Pictures Industries, Inc. All Rights Reserved.